I can speak on any number of topics – at a surface level. There are a few things that I can really delve into and speak at length about. For hours and hours, I could hold your attention on things like, oh I don’t know, say, Hip Hop. If you’re willing to listen, I’m more than willing to speak on it. It’s always a pleasure to find someone with similar interests and attitudes about topics you can agree on. There was this Chris Rock skit awhile back where he talked about women trying to introduce their husbands to the husbands of their friends. On some, “hey, he likes baseball, you like baseball” – a grown man’s play date. That’s not a good idea. Having a surface interest in common doesn’t make for good conversation. I like Hip Hop and 2 Chainz like Hip Hop but I don’t think we’d have a whole lot of deep dialogue on the subject. It takes quite a bit more than that to really get those deeper connections and discussions. Not long ago, we had DJ Platurn over to the house for a little food and a lotta conversation. Look, if you know of this guy, you know that he’s created two incredible and highly acclaimed mixes paying tribute to the greatest Hip Hop group of all time – De La Soul. 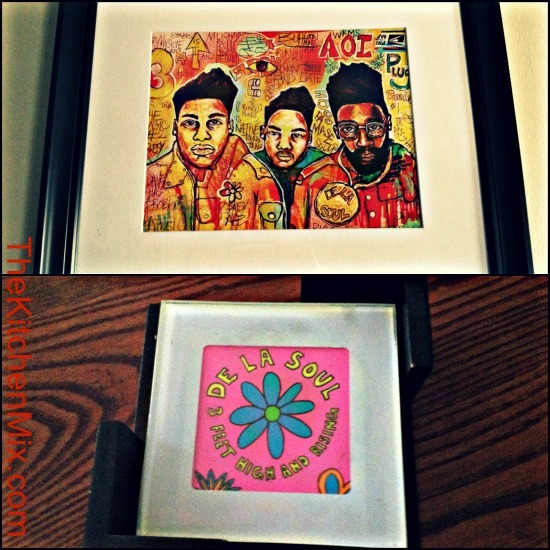 And if you know me, you know that aside from referring to De La Soul as the “greatest Hip Hop group of all time,” I also have their likeness on my wall when you enter the house and have self-made De La coasters on my coffee table. So, it’s not just that we like De La Soul, we both share a…um, fondness for their catalogue. That’s a great starting point for commonalities that lead to great conversations. Don’t get me wrong, we didn’t just talk about De La – in fact, we didn’t talk about them at all. It’s those recognizable nuances that you catch on to that let you know what a person’s all about, though. We spoke about a whole lot more than music and food but, I’ve shaved it down to a few essential questions and answers that I thought you’d find insightful. 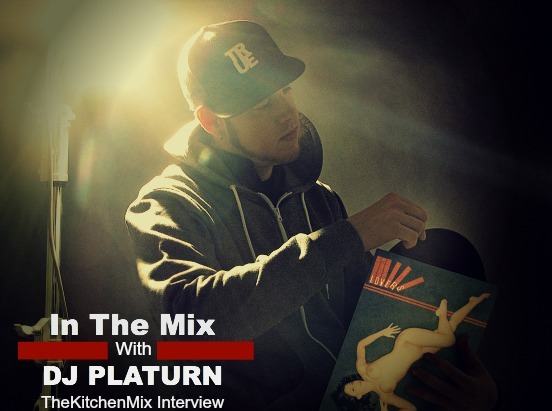 Follow along for some of our conversation with DJ Platurn. ***Allow me to give you the soundtrack to our conversation, something to listen to as you check out some of what we talked about (and get an original DJ Platurn recipe). Here’s a recent masterpiece that he’s created. Press play and read on. TKM: How would you say that food relates to the creation of music (or the creativity that comes with djing/mixing, etc.)? P: Same concept. You’re mixing and matching different sources to make something else that’s new and complete and satisfying. I honestly don’t think there are two things more synonymous than DJing and cooking. The more you think about it, the more it’s readily apparent — only difference are the senses (taste vs. hearing). TKM: What type of diet are you trying to follow? P: The balanced kind. I eat everything, but the older you get and with your metabolism slowing down it’s important to take breaks, go veg, exercise, and not overdo anything too much. Balance is the key to a happy and healthy life. TKM: What are you trying to avoid? TKM: How does the DJ life affect the lifestyle your trying to maintain? P: Late nights, random eating times, tons of calories in beer. It’s tough, and that’s where balance once again comes into play. If you wanna last in this game you gotta party responsibly and counteract with good eating habits and exercise and rest. Easier said than done though. TKM: What do you think are the biggest obstacles that we face when it comes to food? How is it different from other countries you’ve visited? P: Time and money, at least from my experience, but you can’t put a price or restraint on your health. 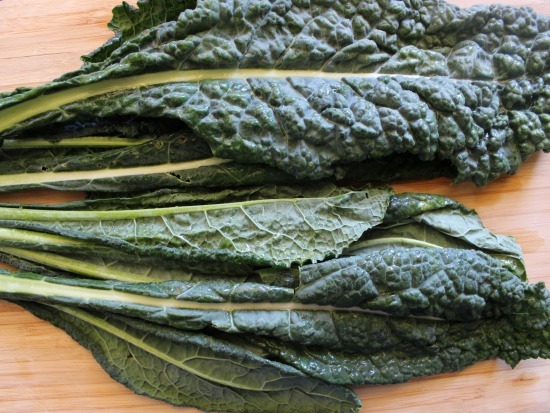 I live in Northern California so access to quality pretty much everything at a good price is right at my fingertips, especially if you know how to access the good local markets and farmer’s markets. There’s plenty, especially on the outskirts of the Bay. TKM: Can you share a recipe with us (not one of your wife’s, I’ll get one from her at some point)? P: I make some killer country potatoes that I learned when cooking in a galley many years ago. There’s really nothing too it — the kicker is wrapping the potatoes in foil the night before and leaving them in the oven for about 4 hours at low heat after poking some holes through the foil. In the morning they’re nice and soft — slice ’em into relatively thin pieces and cook ’em in a pan with butter and salt & pepper. P: …would have stayed in school. TKM: What are the accomplishments that you are most proud of? P: Being recognized by my heroes and collaborating with and sharing the stage with them is the most gratifying aspect to my career. I wouldn’t be anything if it weren’t for them and their influence on me, so it’s incredibly humbling to be at a stage in my career where that is an actual reality. List is too long, but a big shout to all my peers and mentors in the Bay that continue to stay true. TKM: What keeps you motivated and continues to inspire you? P: Nothing has changed. I’ve grown up (a little bit), but I’m still the same kid who just loves music and djing and just wants to do that and only that. I’m still hungry and humble and dedicated to keeping this culture and art form that I love so much alive. That’s never going to change, and you’ll never catch me doing anything but or compromising my beliefs for a dollar. I owe the history of Hip-Hop and DJing just that. This guy is the genuine article. When you talk about talented DJ’s and people making moves to preserve – and at the same push the boundaries of Hip Hop, he’s that dude. Super dope, humble and all around authentic in every sense of the word. I don’t really like telling people what they should or shouldn’t do but you should better acquaint yourself with my dude by hitting up his website or following him on Twitter. If you have yet to listen to his infamous So This Is De La Heaven Vol. 1 and 2…Stop reading this, send the kids to the sitter and get on that!